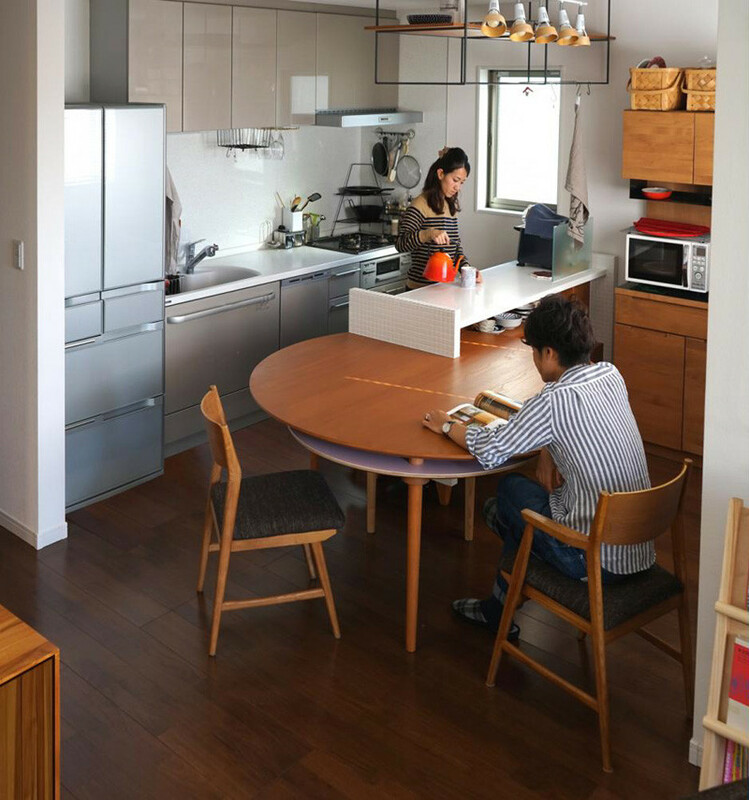 When architect Yuki Miyamoto was asked to design a small apartment in Tokyo for a family with young children, there wasn’t a lot of space for a large table. 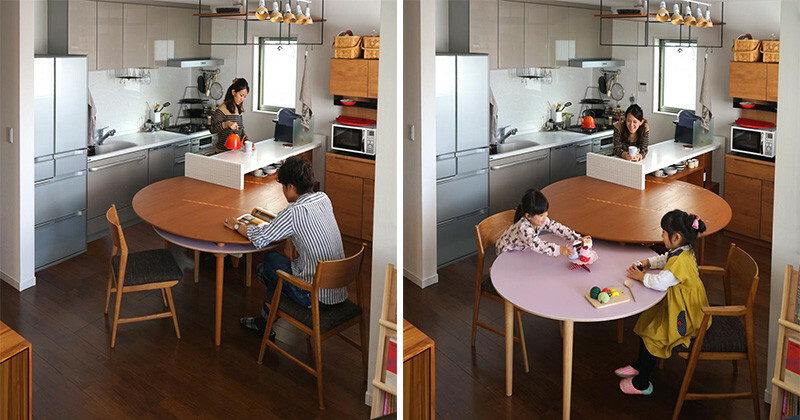 The solution was to design a table that could extend when needed, and be tucked away when not in use. 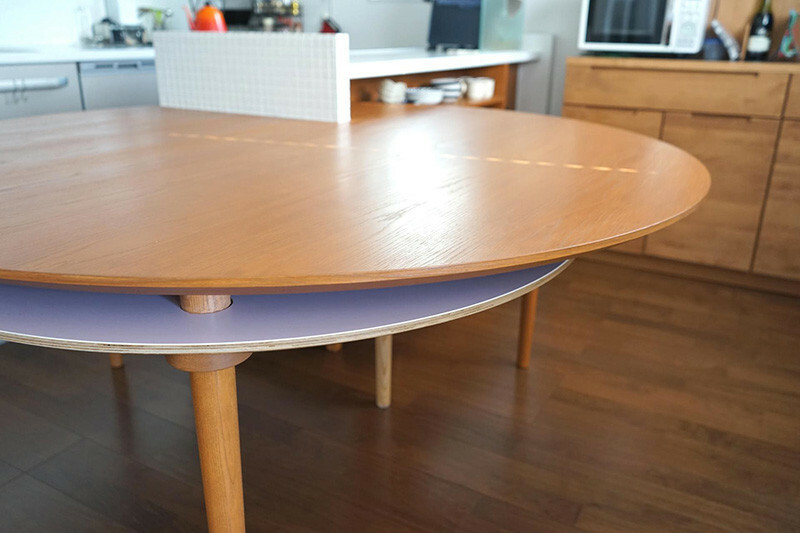 By creating a revolving table, the dining table can be extended out by turning the smaller section out from underneath the larger table. 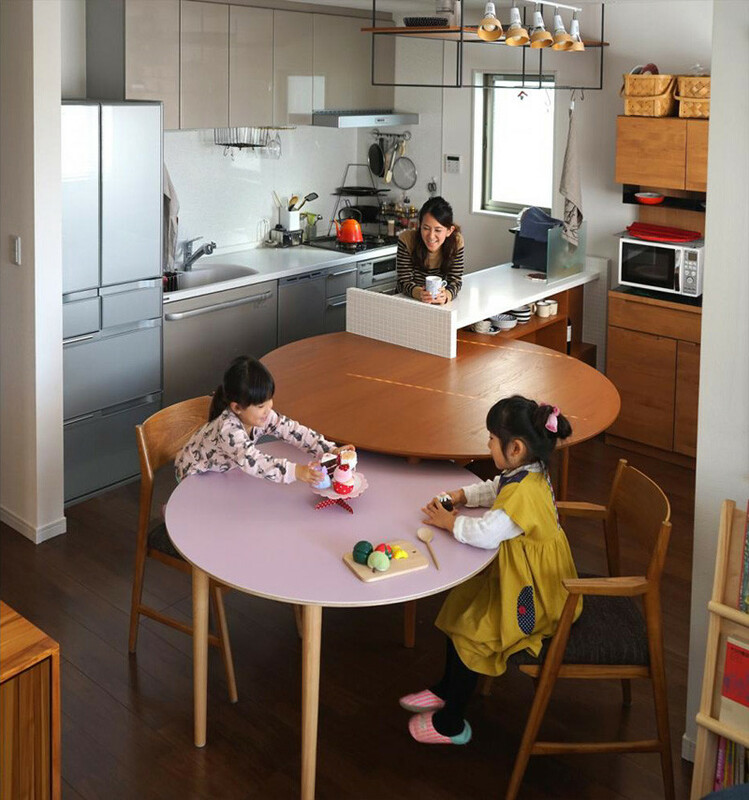 When the table is extended, the lower height is ideal for the children, and provides additional space for seating. 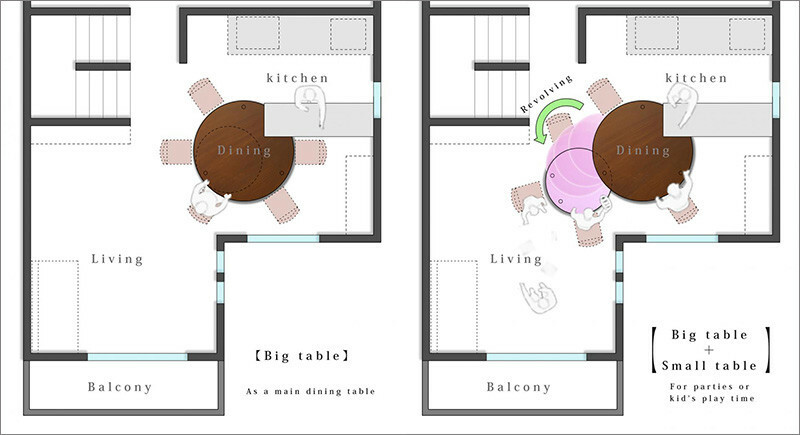 Here is a diagram that shows the layout of the table.